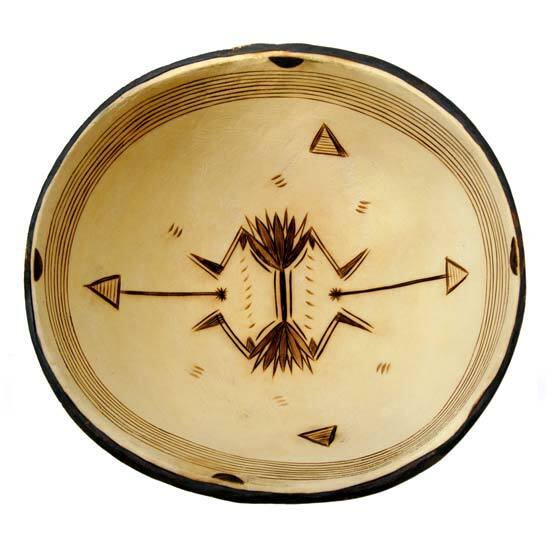 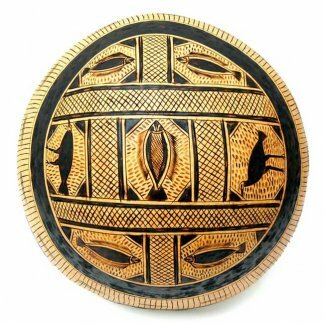 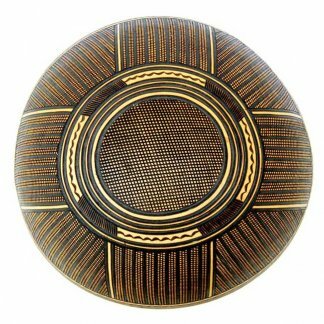 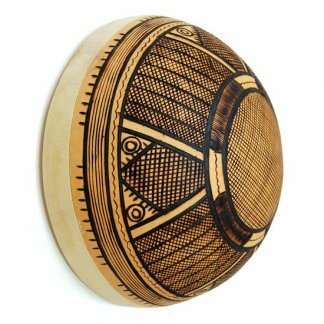 Traditional, pyro-etched African gourd art. 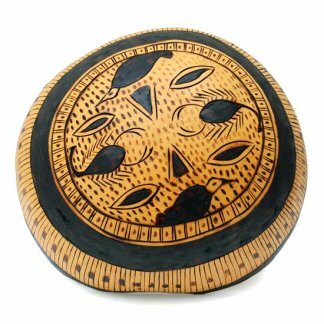 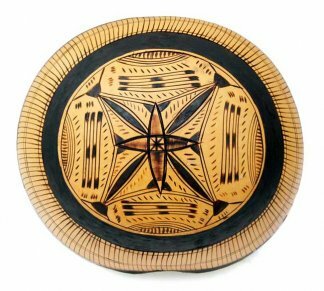 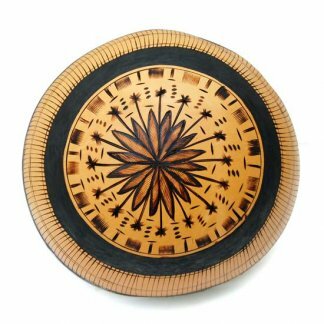 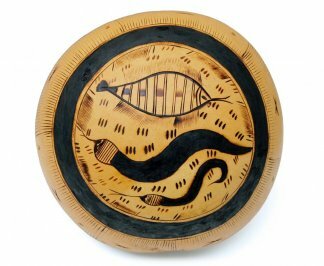 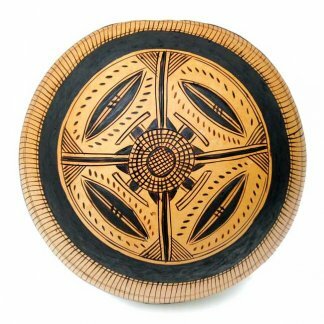 This gourd art is made from a gourd half that was pyro-etched and incised with traditional abstract imagery using red hot knives. 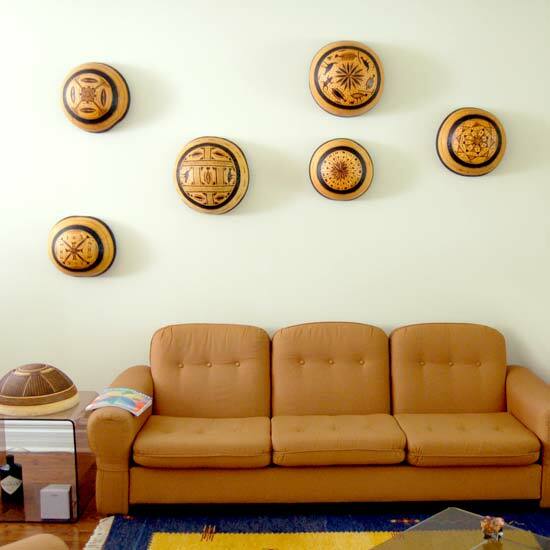 The inside is also decorated. 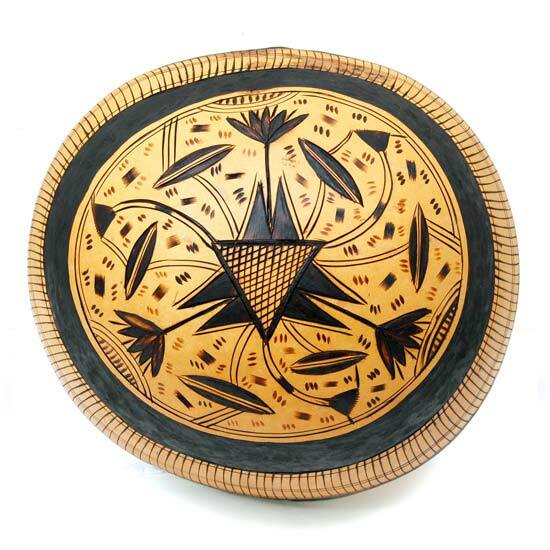 These gourds are all natural. 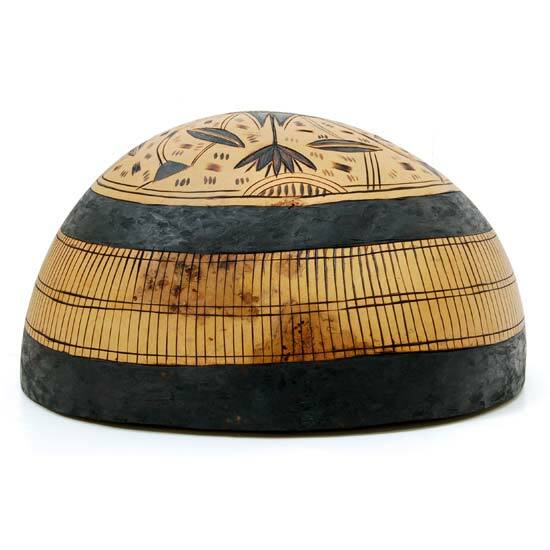 There may be some irregularities on this gourd, but it adds character.